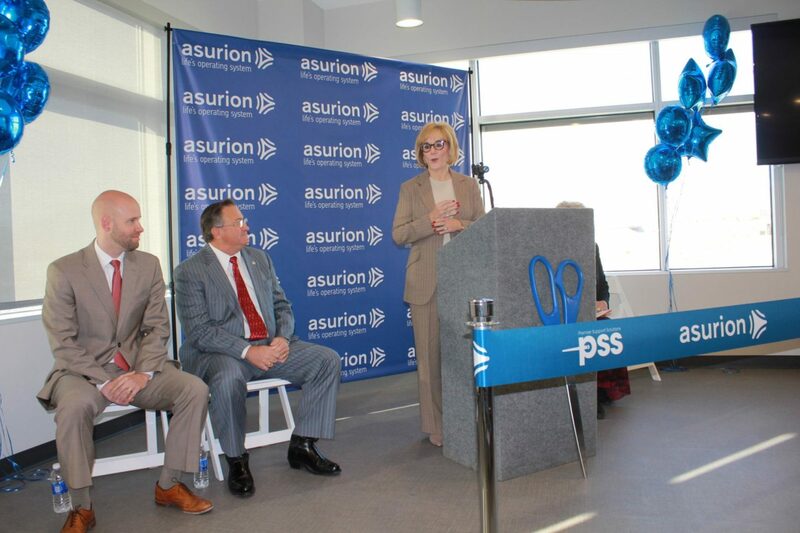 Today Asurion is proud to officially open our newest Premier Support Solutions center in Las Vegas. We held a ribbon cutting and grand opening ceremony this morning and received warm welcomes from Mayor Carolyn G. Goodman, Councilman Steven Ross and Jonas Peterson, COO of the LVGEA. Asurion’s office is located at 6605 Grand Montecito Parkway. The company will continue to fill various roles including support technicians, managers and supervisors. Interested applicants should visit www.asurion.com/careers for up to date job postings. Asurion’s Premier Support Solutions team focuses on providing technical assistance for mobile and electronic devices and stands alone in its ability to provide streamlined and refined expertise for cutting edge technology. Technical support agents will use their expertise to lead device set up, troubleshoot and educate customers on the latest technology devices from cell phones and gaming devices to laptops and tablets and more.